Creating that charming Farmhouse look in your kitchen can be easy with just a few simple changes. Inspired by the classic American Farm, these kitchen ideas celebrate the simplicity of country life. 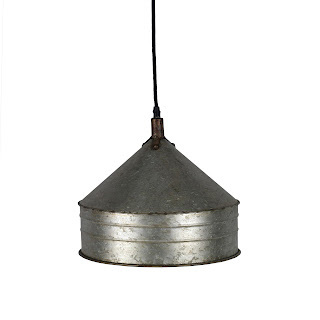 "We love this rustic farmhouse light made of metal with a little rust to make it a true vintage look." This white farmhouse sink has predrilled faucet holes for a wall mount faucet looks like one your Grandmother might have had. 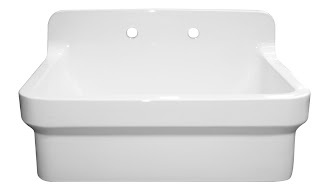 This also is a great sink for the laundry room. Isn't it charming? 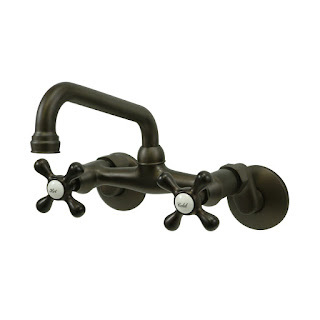 If you cook a lot, you will appreciate this vintage style pot filler faucet. 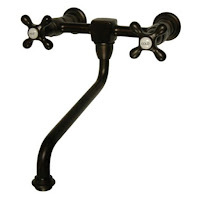 A wall mount pot filler faucet can make your life so much easier in the kitchen.